30 Minke Whales Victims of Japan’s New Hunt – Neptune 911! Japan has caught 30 minke whales in its first hunt since the International Court of Justice ordered the halt of its annual expedition in the Antarctic. A report by the Japanese Fisheries Agency said that 30 minke whales had been killed during the April-June whaling season as part of its “research hunts” in the north-west Pacific Ocean. They also said that another group of whalers were still hunting in a more remote part of the ocean. The news of Japan’s decision to continue with its whaling programme in the Pacific will come as a shock to the International Court of Justice, which in March ruled that Japan’s Antarctic whaling should be stopped. The ICJ ruled that while JARPA II could broadly be characterised as “scientific research”, Japan had not sufficiently justified the whaling quotas it had set, and that they should cease the programme immediately. 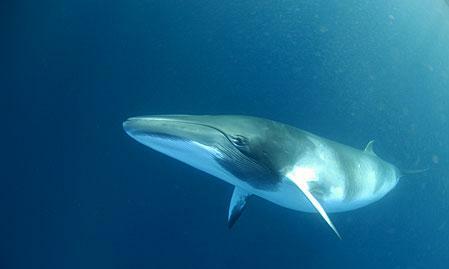 Following the ruling, Japan agreed to stop whaling in the Antarctic for the foreseeable future. Nevertheless, the court’s ruling only discussed Japan’s JARPA II whaling programme in the Antarctic and made no mention of its annual hunts in the Pacific. This has meant that Japan has been able to continue to hunt whales in the Pacific. Japan has long argued that their whaling is scientific and crucial to understanding whale populations worldwide. It also says that whaling is a part of Japanese culture that is “culturally misunderstood” by the international community. It is believed that Japan’s Prime Minister Shinzo Abe is keen to redesign the country’s scientific whaling research programme and push for the moratorium on commercial whaling to be lifted. The news of Japan’s decision to continue with their whale hunts will come as a blow to the Australian and New Zealand governments, both of which had hoped that the ICJ’s decision in March would help bring about an end to all of Japan’s whaling programs. Speaking earlier in the week, New Zealand’s Foreign Minister Murray McCully said: “The decision of the ICJ laid down clear guidelines for any research whaling activities in the future.